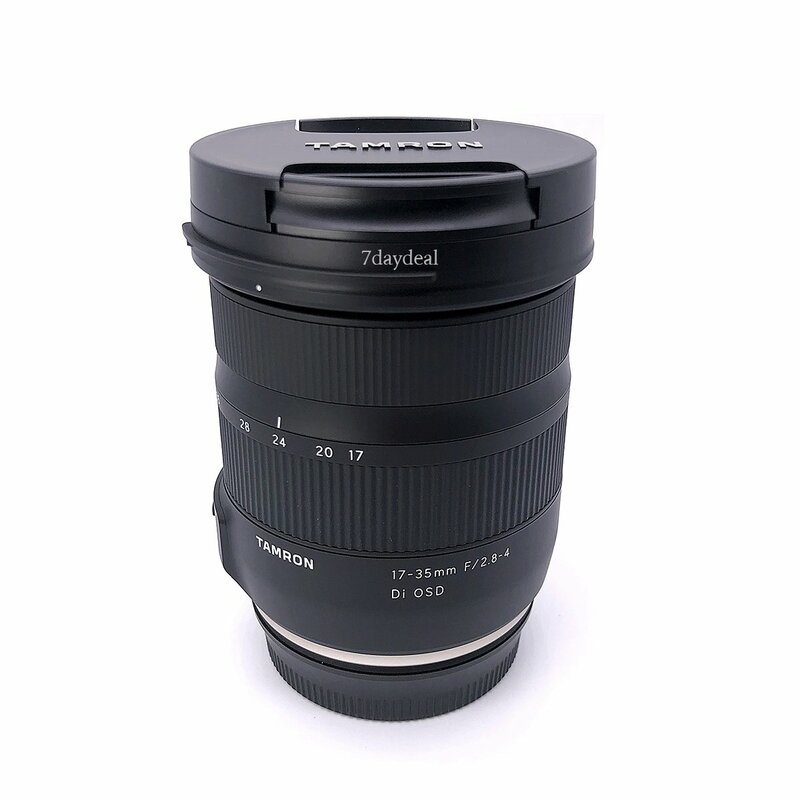 The Tamron 17-35mm F/2.8-4 Di OSD (Model A037) is an ultra-wide-angle zoom lens that combines superb image quality with outstanding portability as the lightest and smallest size in its class. It uses four LD (Low Dispersion) lens elements to minimize axial chromatic aberrations. And with two GM (Glass Molded Aspherical) lenses it cannot only provide the sharpness and contrast demanded by high-end lenses, it can also handle peripheral point image reproducibility. Furthermore, it has repeatedly gone through our proprietary ghosting analysis simulation employed to resist backlighting problems from strong light sources to which wide-angle lenses are often subjected. Along with an enhanced high level optical construction, the lens has BBAR (Broad-Band Anti-Reflection) Coating highly effective in reducing reflection and controlling ghosting and flare. The Minimum Object Distance (MOD) for the entire zoom range is a short 0.28m (11 in), so you can still enjoy the background blurring effect when shooting full open aperture and close-up with this ultra-wide-angle zoom. The lens also has a circular aperture that gives you beautiful circular bokeh.